Which analysis are available in Top Locations? 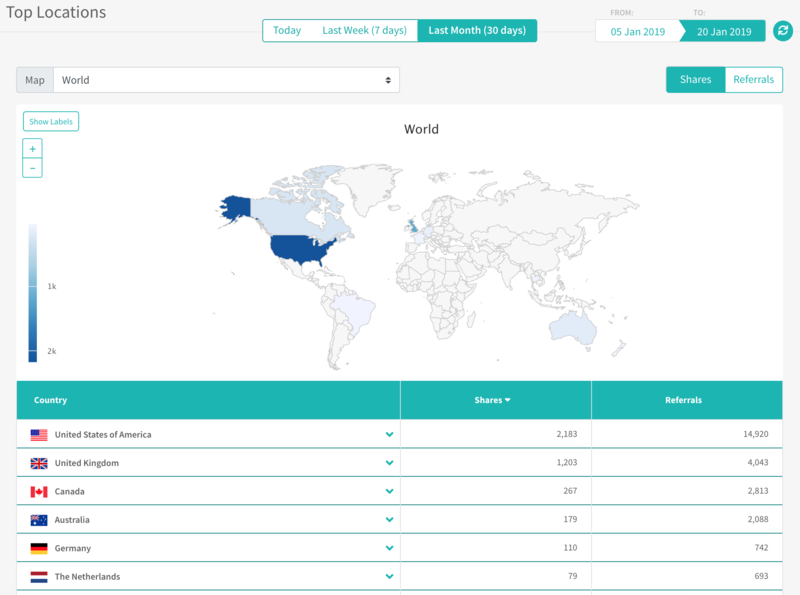 The dashboard view can be accessed through Analytics >> Top Locations. Once opened, it will show geographically all the shares and referrals that happened in a defined time period. 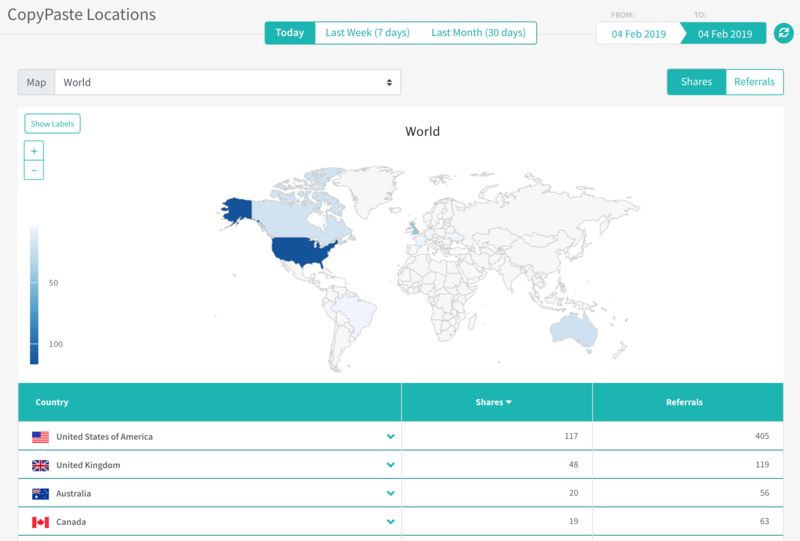 The dashboard view can be accessed through Analytics >> Top Stories >> View Story Locations. Once opened, it will show geographically all the shares and referrals that happened in a specific story during a defined time period. The dashboard view can be accessed through Analytics >> Top Channels >> View Channel Locations. Once opened, it will show geographically all the shares and referrals that happened in a specific social network during a defined time period.